Display and Protect in our Affordable, Stylish Display Cases! 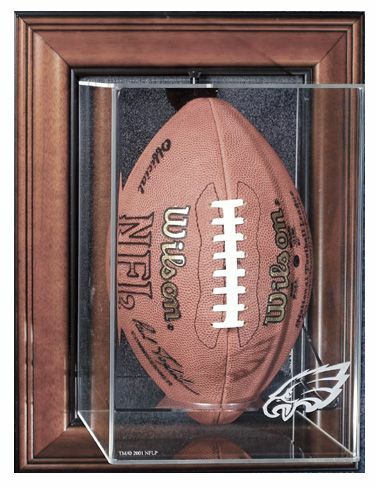 Whether an autographed specimen or a collectible limited edition, your prized trophy balls deserve a stylish display case to protect them from dirt, dust and damaging light! Display Case. Has single piece molded top of clear acrylic. Features wooden base with indention to secure ball in one place. A great value! An appealing display of your favorite ball! 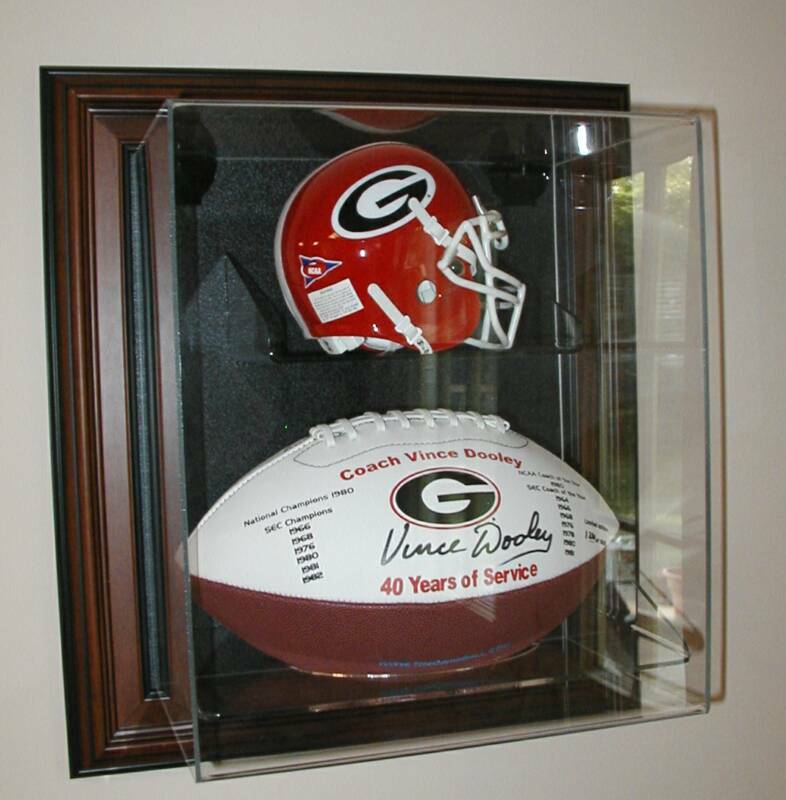 Our horizontal, wall hanging football display allows for mounting your prized pigskin directly on the wall of your office, den or family room. A unique display. Wooden frame with black background. Available in NFL teams or plain. Collegiate logos not available at this time. A verticle version of the above display case. Allows verticle mounting of football on wall. Gives your football "on the tee" presence while protecting from dust. Officially licensed UGA travel bags! Click here! The Ultimate Football Display Case! the wall for a presentation not to be forgotten! The best way to display your collectibles! 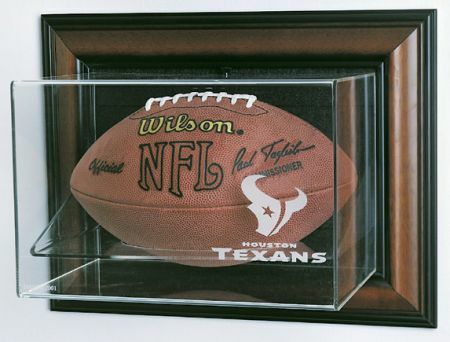 Note : All display cases are shipped without footballs or helmets unless ordered seperately. Shipping and handling charges apply. Georgia residents add 7% sales tax.